Lindsay Lohan didn't waste time getting back to her old party girl ways just a week after leaving rehab. 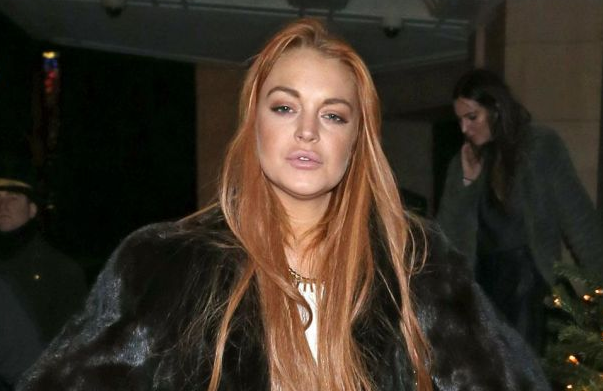 Lindsay Lohan is back partying again just over a week after leaving rehab. The actress partied all night with the Wanted’s Max George in Los Angeles before being helped out of the bash by security at 7 a.m. yesterday. Sources exclusively tell Page Six that Lohan, who left rehab after 90 days on July 31, joined the British pop bad boy and his band at the all-night rager which started late Wednesday at the Mondrian West Hollywood. One source said: “The party went on all night long and was so loud that guests were complaining. Lindsay was there with Max George. The Wanted have been staying at the Mondrian for days, and Lindsay, who briefly dated Max a while back, was partying with the band. She and her sister Ali were spotted waiting in the hotel lobby for the band. It's a good thing she's White, cause if she was Black, she would've BEEN in jail and probably STILL in there by now!